Founded in 1953, Prince Edward Flying Club (PEFC) is located at Picton Airport in beautiful Prince Edward County, Ontario. Since its incorporation, the Club has continued to be a welcoming beacon for members and visitors alike, hosting fly-ins as well as other events throughout the year. Members are heavily involved in organizing the monthly breakfasts, taking care of grass cutting, maintenance, and much more. No matter where your interest in aviation lies, we welcome new members or quite simply, anyone who loves the joy of flying. 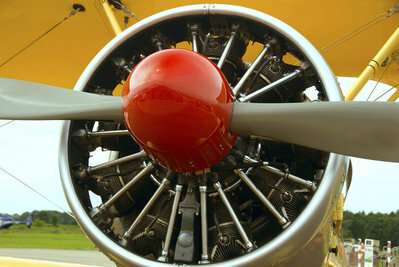 To connect with us, learn more about membership in Prince Edward Flying Club, or fly in, visit our Contact page for further information. 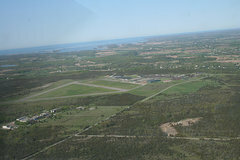 Picton Airport is a former World War II training airfield, and today it still retains many of its original wartime buildings. The airport hosted the No. 31 Bombing and Gunnery School for the British Commonwealth Air Training Plan, operating Avro Anson, Fairey Battle, Bristol Bolingbroke, and Westland Lysander aircraft. Strolling the grounds invokes a sense of nostalgia. Close your eyes, open your mind, and imagine the sights and sounds of servicemen and women carrying out their duties. From the Mess Hall to the barracks, Picton Airport is a visual reminder of the thousands of people who trained and supported the war effort. 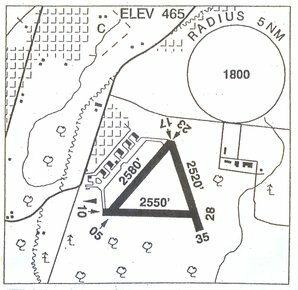 Like many airfields of the period, the runways in the 1940s were designed in a familiar triangular layout. This same configuration exists today, allowing cross-wind landings and take-offs to be undertaken with little difficulty. While you're in the County, visit the Prince Edward County official tourism website for events, attractions, getaway packages & more.